Head of EA Labels Frank Gibbeau has made a claim that Apple paid the company to delay the release of Plants v Zombies 2 on Android. How much money? Try "a truckload of money." Giant Bomb is reporting that Gibbeau made the comments at an internal town hall meeting, stating "Apple gave us a truckload of money to delay the Android version [of Plants vs Zombies 2]." Giant Bomb confirmed the quote with several other sources who watched the presentation before printing the story. PopCap refused to comment further on the topic, stating "We can't comment on internal meetings." Apple denied that any money had exchanged hands between EA and Apple for timed exclusivity, stating that the story was "not true. "Giant Bomb stood by the story after the denial. Either Gibbeau chose poor words, or there is more to the relationship between Apple and EA than either company is letting on. EA has done timed exclusives with Sony and Microsoft in the past, so what's to stop them from doing it with Apple? Typically the company deals in promotion and marketing for gaining exclusivity, but Plants v Zombies 2 has been one of the most highly anticipated mobile games for a while. 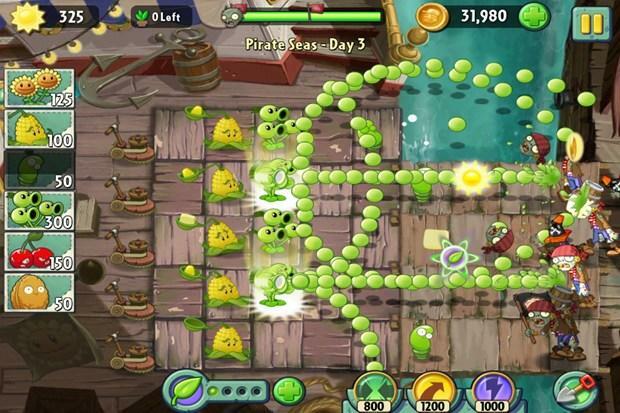 Plants vs Zombies 2 is expected to be released next month on Android. The game has already been a massive hit on iOS with over 25 million downloads since launching on Aug. 15. In China, the game has already been released on Android and has been outselling the iOS version six to one.